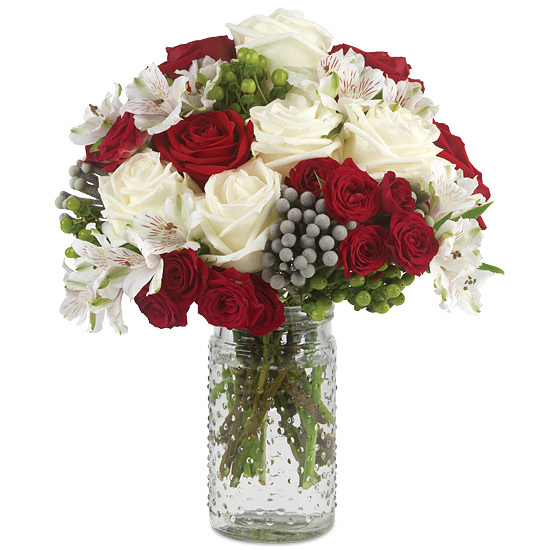 As magical as the season itself, this stunning bouquet uses traditional holiday colors to achieve an effect far from traditional in its sophistication. 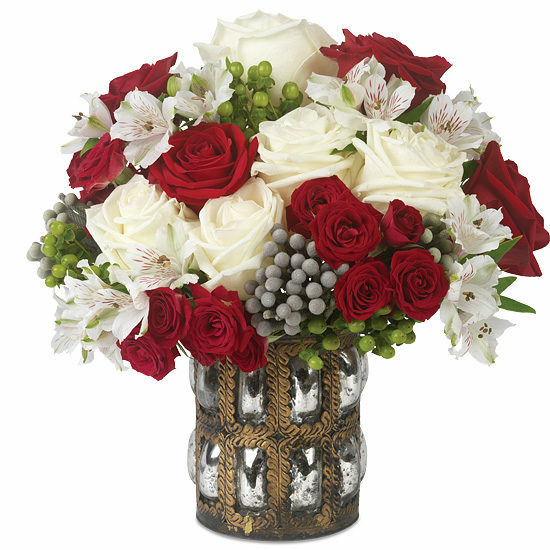 Both men and women will be enchanted by the fantastical flowers’ beauty, a combination of velvety red Freedom and white Polar Star roses, Silver Brunia, red Brilliant Star spray roses, white Peruvian lilies and rich green hypericum berries. Our distinctive mirror vase looks amazing filled or displayed on its own. Remove all foliage that will fall below the water line. Remove the “guard petal” on each rose – this is the outermost petal left on to protect the bud during shipment. You may also remove any petals that may have slightly bruised during shipping. We recommend cutting all stems underwater for best blooming results. Always add fresh water daily. Trim away spent blossoms as your bouquet ages and rearrange if necessary.